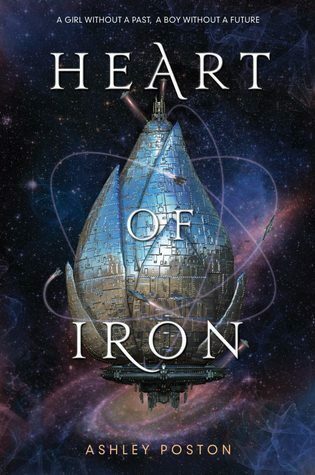 This week on WoW is Heart of Iron by Ashley Poston. Look at this beautiful cover! *. * And, the premise is so alluring: "a girl without a past, a boy without a future". 💗 Since I read the Starbound trilogy that I've been trying to read more sci-fi (any recommendations?) and Heart of Iron reminds me so much of it. I can't wait to get my hands on this beautiful book, which will be released on February 27th 2018. Pretty cover and the synopsis sounds interesting. I don't know that I'm in a hurry to pick it up, but maybe I would grab it if I see it at the library. I LOVE the cover! This sounds SO good! Beautiful cover, hope you´ll enjoy your pick. Thanks for sharing.